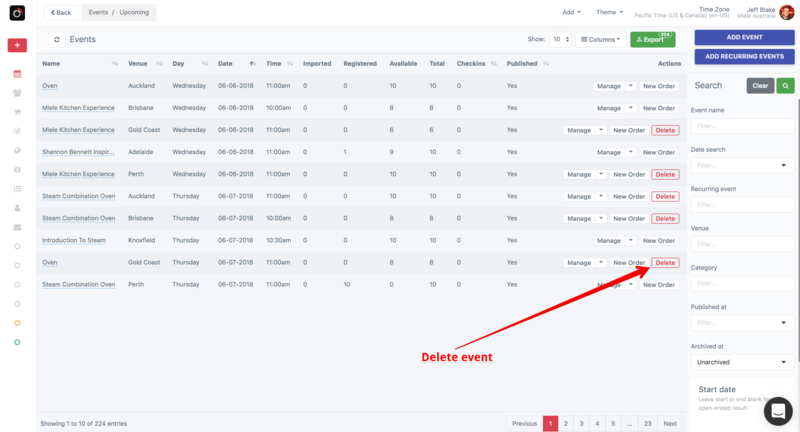 To delete an event, first locate the event in Events > Upcoming. Then, click the red "Delete" button. If the delete button is not visible, then see above on the conditions in which an event may be deleted.